The BLUE THUNDER 777. As the 7-ply model of its original line, this is a relatively light, yet extremely fast blade. Additional touch was added to those charasteristics, as well as a slight weight reduction. 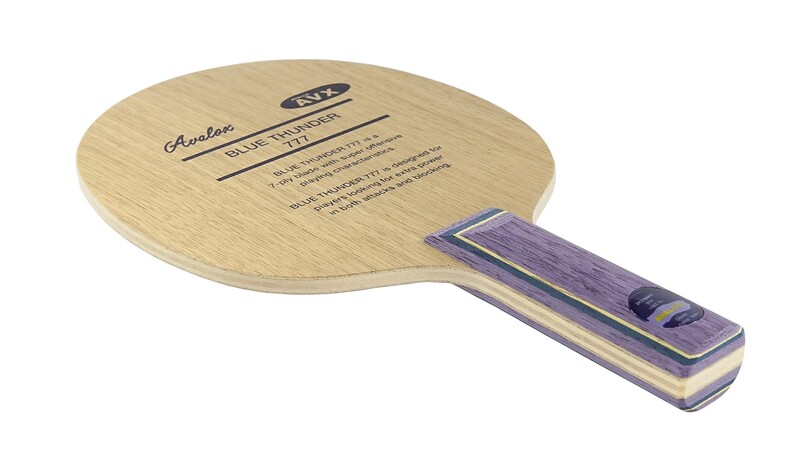 All Avalox Blue Thunder blades come pre-coated to avoid wood fiber loss when reglueing. The blade is made in Sweden. 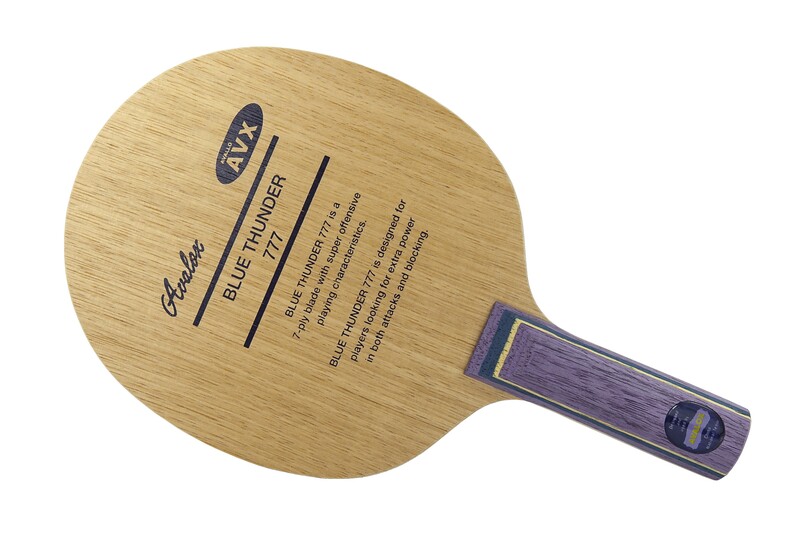 The Chinese National Team first took delivery of these blades in December of 1997 and gradually most of its players are switching to Blue Thunder. Now these blades are available to a few distributors around the world as well. First of all, T11 service is excelent as always!! 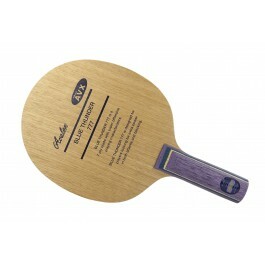 This rubbers made the blade with great feel, no annoying vibrations, great flex for looping and good stiffness to block. I've recently tried with SP on BH, and I feel much more vibrations and felt a loss of power. It's not enough stiff for SP in 40+ era. It's a do-it-all blade and great for develop your game! Its a all-rounded blade, suits me but other ppl who gave it a go think it s too fast etc, based on DHS blue national rubber for trial, this blade is faster than P500, P700, btf Garaydia, spinner than P900, btf innerforce zlc, easier handling return, blocking and conter loop over DHS long 3, long 5, btf innerforce ALC, ZLF, STIGA diamond touch. Most of the time this blade delivers a sense of accuracy in ball control, only a few gear lack of power in full strength attack, 8-9 out of 10. but again, u cant eat the cake while taking it, all blades of any kind applies so. Its an ideal substittude in the era of 40+ for the legendary avx P500. I used this for a few months, beat players higher ranking than me. It has a overall high performance indeed, return the ball with precision as all Avalox blades do. Its dwell time is longer than most of other blades, only i think shorter than the classic P500. Less power than P900 but more spin, sometimes I feel lack of power in BH but it could becoz of long time use and in need of regluing. In retrospect, It s very difficult to define its character, I loved it and I sad on it. I once thought it is perfect improvement of P500 given more speed while maintain control and dwell time, but sometimes it feels not as much ideal for 40+ balls comparing with P900.